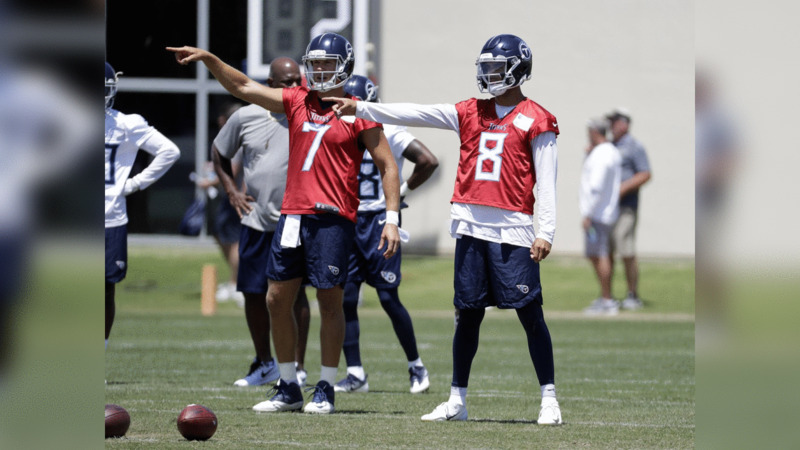 NASHVILLE, Tenn. – Well, OTAs are now officially in the books for the Titans. Next up is a three-day minicamp, then a long break from the field until training camp. Question: Hey Jim have been a fan for as long as I can remember. Any who, I saw last year there are practices you can go to where players do (optional) autographs after practice with fans and only a certain amount of them do it each day for like a week if I can remember. I live an 8 hour drive away. I love visiting the city of Nashville and wanted to plan a vacation. Do you have any dates that they will be doing these practices? Also is there usually too many fans were you may not get an autograph? I think I read last year there is no guarantee but was curious if getting at least one is likely. Lastly are the joint practice with the Buccaneers open to the public and what would the dates be as well. Thanks for the help. Jim: Hey Canaan. The training camp schedule hasn’t been finalized yet. Thinking it will be released in early July, well before the autograph schedule, which is usually released closer to training camp. Camp will begin the last half of the last week of July. In the past, fans have lined up along the fence line, and some guys obviously have longer lines than others. So you’re right, there’s no guarantee. As for the joint practices with the Buccaneers, the exact date(s) isn’t officially set yet. Thinking it will be one day, maybe two leading up to the August 18 game. And it will be open to the public. Stay tuned for more information. Question: Just wondering how Ethan Wolf is adapting to NFL and if he has a shot at making the team? Jim: Hey Charlie. Ethan is competing, but he’s behind some others so his reps have been limited.  He’s a long shot, no doubt, considering the team has Delanie Walker, Jonnu Smith, Luke Stocker and Phillip Supernaw ahead of him. Tim Semisch is another nice prospect at the position. Supernaw hasn't been practicing, however. Ethan will need a strong camp to stick. Chances are, the team will keep a young TE on the practice squad as well. Question: Aloha Jim, In following the Titans (here in Hawaii) we are excited about the Matt LaFleur and the new offense he'll bring to the Titans. My question is basic one. Since everything starts up front. How difficult has it been for the big guys to transition to a Zone blocking running scheme? I've heard that it requires much more mobility and I was curious if our guys are having difficulty moving into that scheme? Mahalo! Jim: Aloha Joe! It’s an adjustment, no doubt. And it’s a work in progress. The scheme change will require the linemen to show athleticism, and more movement. I think the group is capable, especially a guy like Taylor Lewan. Josh Kline is a good fit as well – it’s why he was resigned. There’s going to be competition in training camp. In OTAs I’ve liked the look of Kevin Pamphile, a versatile lineman who played previously with the Buccaneers. So keep an eye on him. Question: Hey Jim. Now that OTAs have been underway for a while and the team is beginning to slowly take shape, I can't help but wonder how the players are liking their new head coach. I remember that Mularkey wasn't always the most loved coach by the fans, but he seemed to have totally won over the player's respect and admiration. I know it's extremely early in the process, but I wonder if you think the players will respect and love Vrabel's leadership like they did Mularkey's if they don't already. Jim: Hey Dalton. Fair question. I can tell you this: Vrabel has the attention of the team, and its players. He’s an intense guy, and he’s hands-on in his approach. There’s no doubt the guys respect him, and for good reason – he played 14 NFL seasons, has plenty of bling with his Super Bowl rings, and he doesn’t mess around. Mike Mularkey is a good man. I always liked him from a personal standpoint. But watching Vrabel work over the last few months, I have no doubt he’s ready for the job and that guys are going to bust it for him. Question: What’s up with Kevin Dodd? Isn’t he sabotaging his chances of making the team? Jim: Well, he hasn’t been here during OTAs, I can tell you that. And he was here earlier this offseason. Keep in mind the OTAs are voluntary. And also keep in mind the upcoming three-day minicamp is mandatory. Dodd has talent, but he hasn’t lived up to expectations during his first two NFL seasons for one reason or another. His rookie season was wrecked by the foot injury. Meanwhile, the position has improved. Brian Orakpo and Derrick Morgan are dependable, front-line starters and playmakers. And Harold Landry is going to make an impact, even as a rookie. I think Aaron Wallace now holds the No.4 spot at outside backer right now, and guys like Sharif Finch, Josh Carraway and Gimel President are in the competition as well. I mentioned last week, Dodd brings a little something extra because he’s also capable of playing with his hand in the dirt, on the line. But he’s not making it any easier on himself. There’s no doubt Dodd is going to need to perform well when he shows up. Question: Mr. Jim. I was reading about the offense and Coach LaFleur's unscripted opportunities in practice. Has anyone ever thought of speeding up the clocks by a handful of seconds during the drills to create an up-tempo environment. Or maybe the 2 minute drills. Just curious. Jim: Hey J. The unscripted portions of practice have been helpful, I’m sure we’ll see a lot more of them moving forward. As for the clock, it’s used regularly during practices and you’ll see that during the open training camp practices. But the clock is moving like it would during the game, to simulate game-like situations.